There is no denying that a certain degree of humidity is needed to maintain good quality air in any grow room. However constant monitoring of the air quality can be quite challenging so it would not hurt to invest in a dehumidifier. It’s not a secret that mildew could cause damage to the harvest. Buying a good dehumidifier will make sure that the humidity levels stay at a comfortable level. You must make sure you buy the right kind depending on the size of the area. 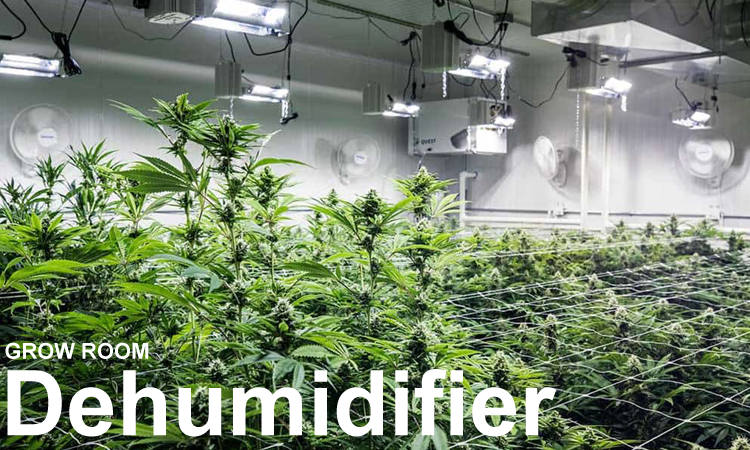 Here are some tips on how to size a dehumidifier for grow room. These gadgets are divided on the basis of their capacity to remove moisture. If you want to buy a 30 pint model then you should be aware that it eliminates 30 pints of unwanted moisture on a daily basis. To end up buying the perfect size for your grow room you need to study the environment to a certain degree. Here are some pointers. Is there CO2 in the room? Do you have an air-conditioner to lower the temperature? To get a good idea you should first count the plants that you have in your grow room. Now think that on an average you pour water about a gallon on 30 plants. So then work out the number of pints a day that the plants receive. This will help you decide on the capacity of the dehumidifier that you should end up buying. We all know that different plants require different temperatures to grow and moreover they need different temperatures when they go through their natural cycles. So before you go out and buy one you must study the different temperature ranges in the grow room. You may also consider buying a pricey model that can handle any temperature. You have to pay attention to the medium being used in your grow room, for example will you raise them in pots? Will you also provide different substrate? The rate of transpiration will totally depend on the system of watering and drainage. Do not hesitate in getting some expert advice as it will help gain a better understanding. Here are certain points that you should consider. Does your grow room have more than one door or window? So you see that temperatures and humidity levels will clash so you should focus on getting a dehumidifier that will function well irrespective of the temperature. However bear in mind that if the place is really cool then it will bring down the efficiency of the device. You may also consider buying a big dehumidifier, but do consider buying from a reputed brand as you will be assured of the quality. Conduct research on the internet about the different brands. Compare the various dehumidifiers and also go through the various customer reviews as they immensely help in the process. Do not rush the process take your time and evaluate all your options well. Dehumidifiers are super easy to use. This is all the information you need to know on how to size a dehumidifier for grow room. Follow the tips well and you should not have any problems.